Prices Slashed for the Holidays! Here’s a wonderful gift idea. Limited time half-price offer! 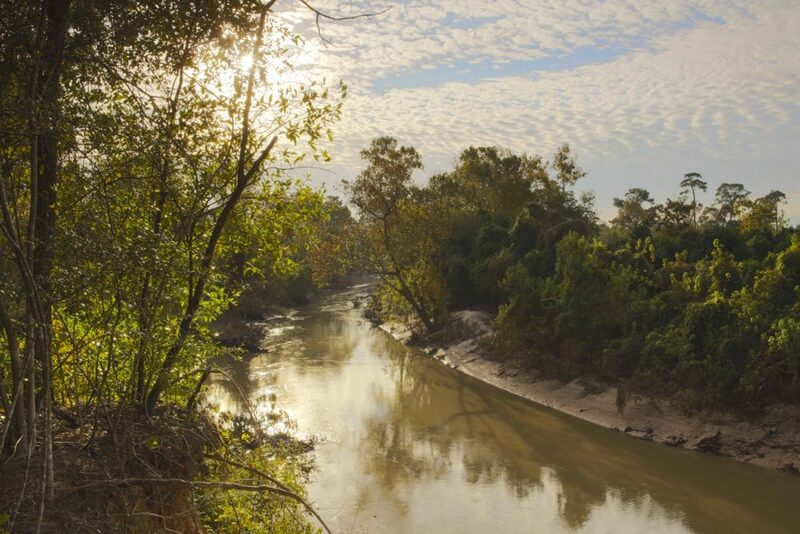 Buy a photo of beautiful, wild Buffalo Bayou and help us protect it. And also help us promote sensible, cost-efficient flood management policies on all our urban streams. Working with nature, rather than against it, is cheaper, more effective, and more beneficial for us and our environment. 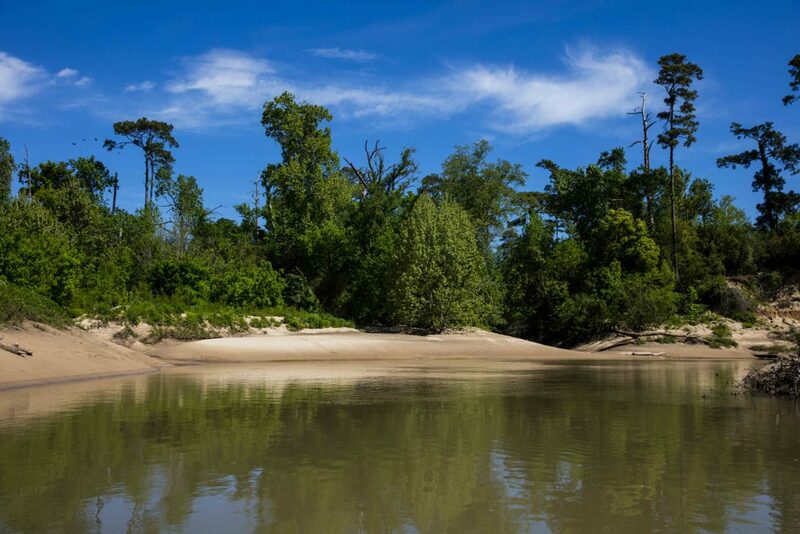 Photographer Jim Olive is offering a deep discount on high-quality prints of a selection of his stunning photos of our Mother Bayou. 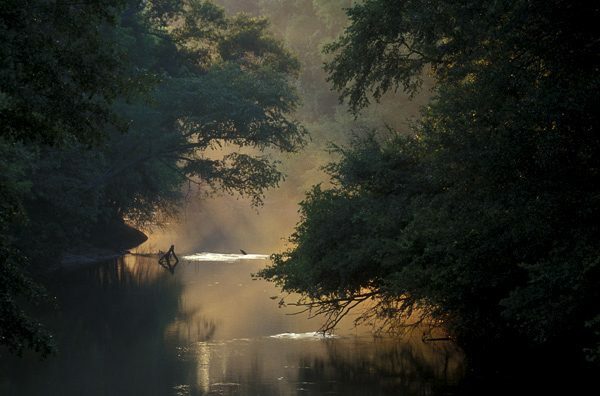 That’s because Jim is donating $50 to Save Buffalo Bayou for each print that he sells. Jim is an internationally known photographer who has worked all over the world. 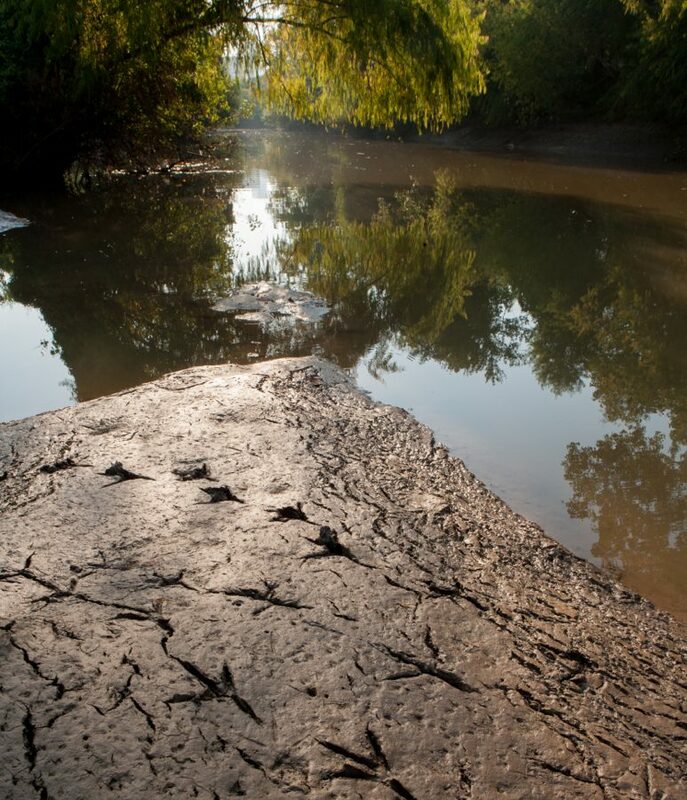 He is a devoted conservationist who believes in the mission of Save Buffalo Bayou. He also is a founder of the Christmas Bay Foundation. Watch this slide show of photographs offered for sale by Jim. And here is the low low low price list. Sale lasts only through Jan. 1, 2017. So act now! Make yourself and/or someone else happy and help Buffalo Bayou and our city too. Three sizes are offered, and they are top-of-the-line prints using archival inks and paper, just as Jim prints them for his top collectors. Also offered are prints on Dibond aluminum. Larger sizes can be special ordered. Here’s how to contact Jim Olive. 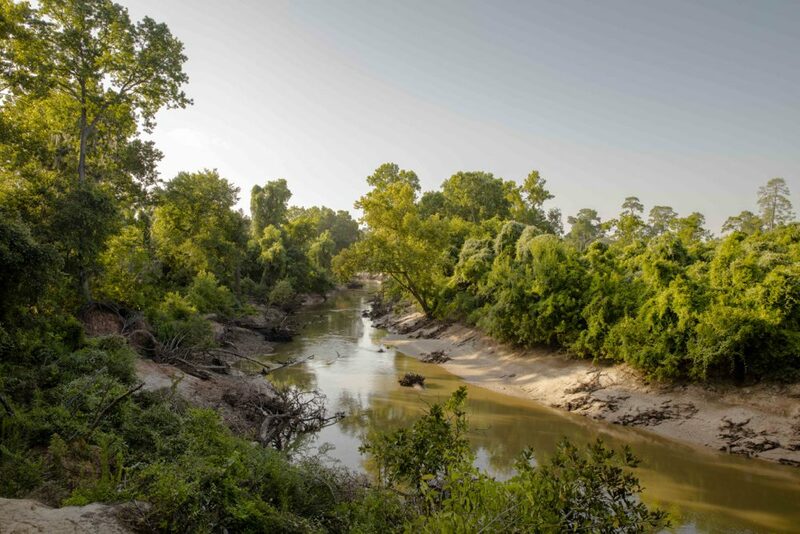 Take advantage of this generous offer and acquire a beautiful photographic print of Buffalo Bayou while helping to protect this amazing urban river and its tributaries. Support intelligent, cost-effective public policies that work with nature, not against it. 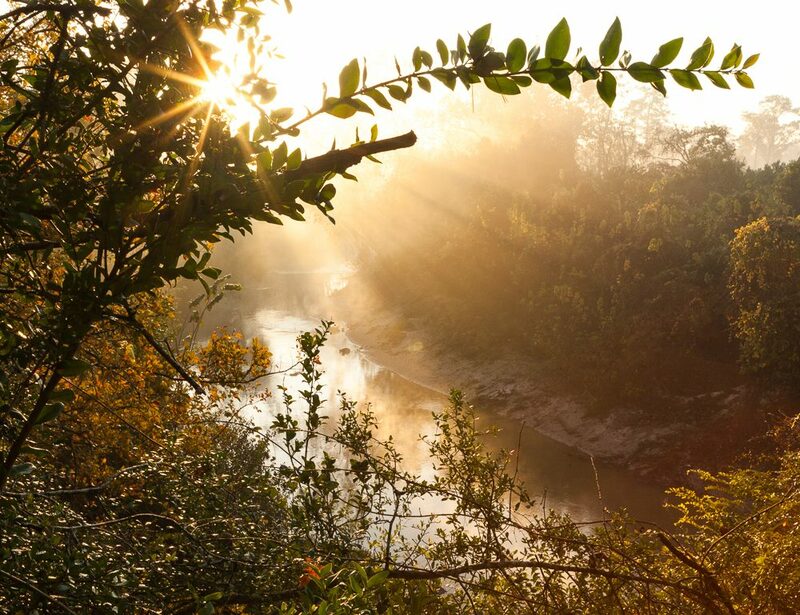 For the last two years Jim Olive has been documenting the changes in the seasons on Buffalo Bayou from the same vantage point. 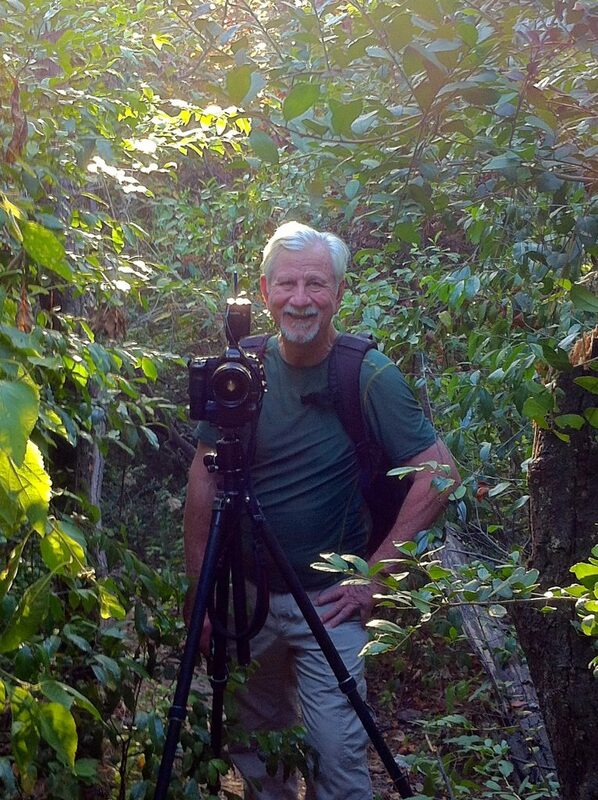 Setting up his tripod on a high bank in Memorial Park, Jim has photographed the same bend in the bayou during low and high water, and in every season. Documenting the same spot helps show how the river adjusts and adapts over time to different conditions. Actually Jim has had to move his tripod slightly upriver. Following the record rains and high flows in the spring of 2015 and this year, parts of the bank sloughed away, and Jim had to move his camera somewhat upstream. The photograph below was taken closer to the original viewpoint on Tuesday, Dec. 13, 2016, around 7:30 a.m. Note how the slumped left bank is slowly rebuilding itself. It was unseasonably warm, about 75 degrees, with even a warm breeze seemingly wafting up from the water below. 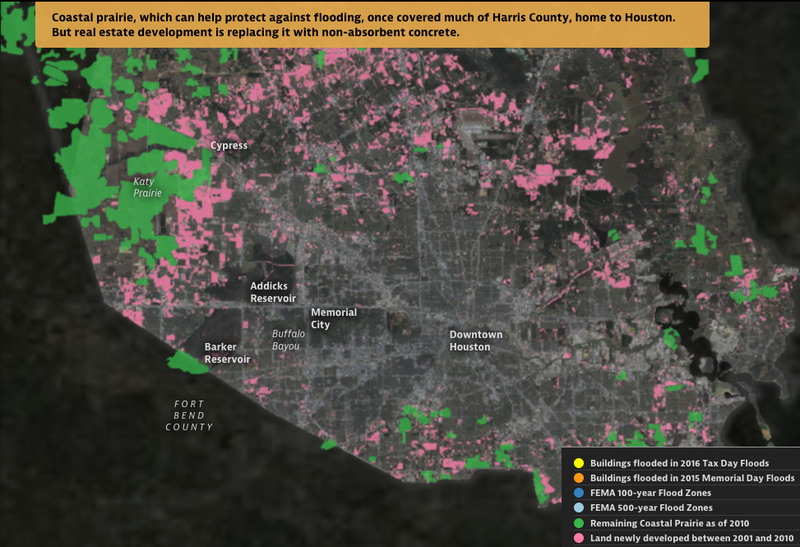 The flow was moderate, around 800 cubic feet per second as measured by the gauge at Piney Point, high enough for a couple of air boats, likely belonging to the Harris County Flood Control District, to come roaring up the river just as we left. We couldn’t see them; but we heard them as we were walking through the woods. Jim had already been out to the park several times to try to catch just the right foggy conditions on the bayou, only to have the fog lift. This shot was taken looking downstream from the same high bank just upriver from a large tributary draining through the center of the boggy park. River Oaks Country Club property is on the right. To see the entire series, go to A Bend in the River under Photos and Films. 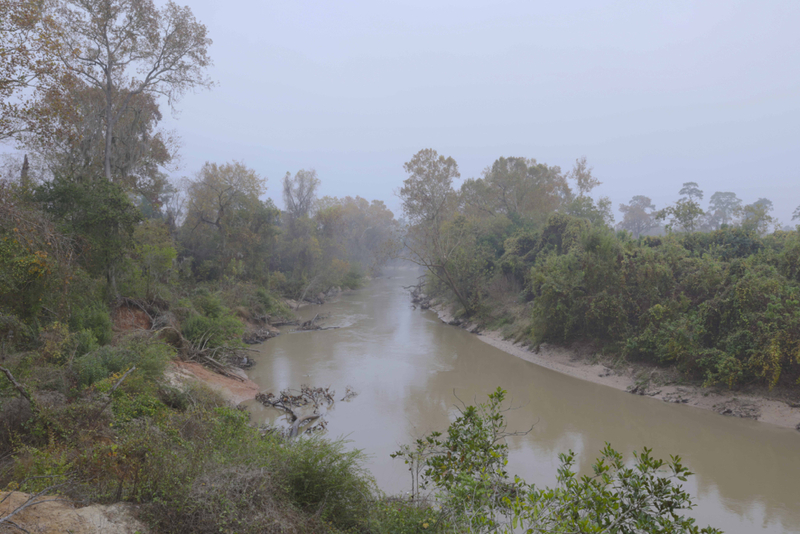 Foggy, warm winter morning on Buffalo Bayou at moderate flow, about 800 cubic feet per second. Photo by Jim Olive on Dec. 13, 2016.